Works on all leather- home, office, RV, boat, jackets etc! Makes near-perfect repairs like the pro's! 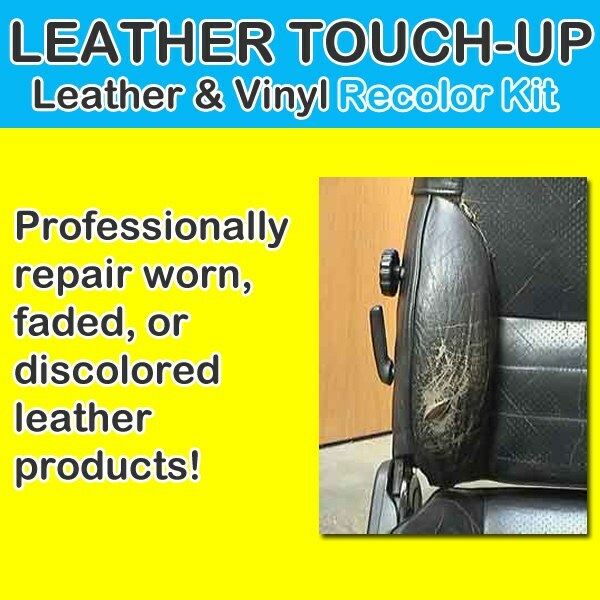 Liquid Leather Leather Touch Up Recolor Kit Do you have some leather or vinyl where the color is worn off? Do you want to make a near-perfect repair job, like the pros? Works on all leather- home, office, RV, boat, jackets etc! Is there a discolored spot on your leather car seat or couch? Then use the leather touch up kit to bring your leather to like-new condition! Just mix your color, test it on the scrap material in the kit, then apply and let dry. It&apos;s that simple. 7 colors mix to all popular colors. Applicator brush included, plus leather filler for deep gouges. Bring your leather to like-new condition!